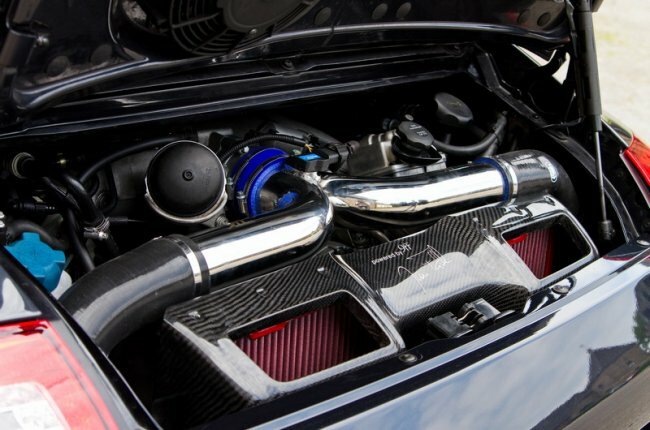 The German tuning company 9ff, specializing on creation powerful unique cars on the basis of Porsche, presented the new project — GTurbo 1200. It is not difficult to guess that in movement of super cars it is resulted by a 1200 HP engine giving out 1150 Nanometers of the maximum twisting moment and making the car one of most powerful “Porsche” in the world. As base for a super-power coupe model 911 GT3 (997) served, from 0 to 100 km/h GTurbo 1200 is accelerated in only 3,3 seconds, accelerating to the maximum speed of 403 km/h (250 mph)! The volume of 3,8-litre “six” has been increased by engineers of the company to 3,9 liters, the basic loading on creation of huge capacity incurred turbo compressor with water cooling Garrett GT1200R. On a steering tube the buttons allowing easily are established and quickly to increase pressure from 0,8 to 1,6 bar and accordingly capacity of a power-plant with 600 to 1200 horse power. For standard transmission GT3 new drives have been picked up and the differential is finished, the full set of firm electronic systems 9ff is established. The standard suspender gave way regulated with racing components from Bilstein and own working out of the company, including the adjustable stabilizer for a lobby and a rear axle, the steering booster, the spring 60-mm, the strengthened cross-section lever etc. 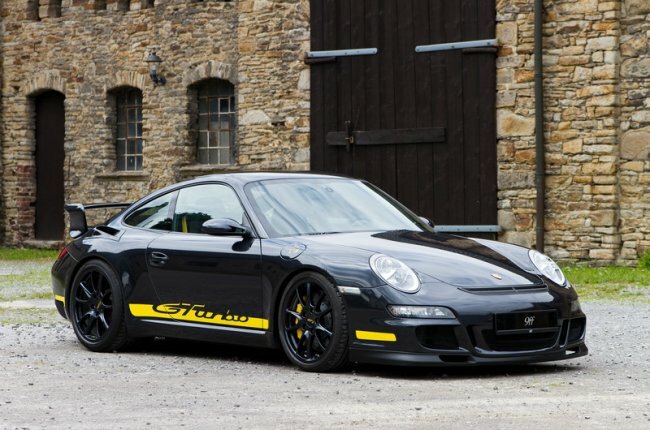 lodged In wheel niches 19-inch wheels 9ff Gturbo, put on Continental Vmax tires, and the braking system has been borrowed from 997 GT2 and in addition equipped by racing brake pads.